Despite our high view of Scripture, Evangelicals are trending away from reading and reflecting on God’s Word. That may be an issue for some, but for Scripture Union, it’s an all-consuming concern. Scripture Union’s mission is to connect Canadians with Jesus and His Story. That’s what we endeavour to do, every day of every year. But with fewer and fewer people engaging with the Bible it’s increasingly more challenging to invite people to immerse their stories in God’s Story. So the question is, what do we do? How do we help people find their way into the Word? And how do we help the Church find its way out of the present decline in Bible engagement? These, and many other related questions, weigh heavily on our hearts and minds. There are no easy answers and no quick fixes for the decline in Bible engagement. But we’re learning things that may contain their own seed, their own lessons for how we might help people engage with the Bible. One obvious lesson we’ve learned is that the decline in Bible engagement isn’t just a Bible agency problem. It’s a problem for the whole Christian community. We all suffer, all struggle, all experience loss when we drift away from the Word. Another lesson we’ve learned is that we’re better together. It’s going to take all of us, united in purpose, to deal with the decline in Bible engagement. Going it alone is not an option. Each one of us has to play a part. Collaborations and partnerships are crucial for success. 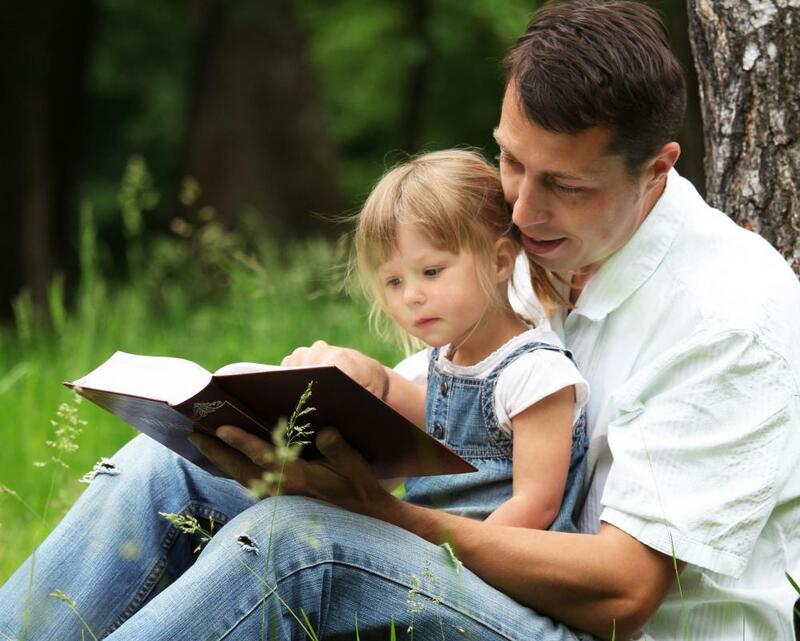 These two lessons, in part, informed the birth and development of theStory™ – a free online Bible reading guide in French and English. (A Bible reading guide is different to a Bible reading plan. A Bible reading guide provides textual commentary, teaching, insight and reflection). Everything about theStory™ smacks of community and collaboration. The writers of theStory™ are some of Canada’s leading evangelical teachers, preachers, communicators, and authors. They come from different denominations, different provinces, and different walks of life. While they are different, they have a common objective – to help individuals and communities engage with God’s Word. Partnerships power theStory™. Ligue pour la lecture de la Bible does the translation of the writers reflections, the Canadian Bible Society provides the online Scriptures, and Deeks Insurance are the sponsors. All told, theStory™ is a wonderful testament to how Bible engagement can be advanced when we work together. It takes more than 120 writers, translators, editors, copy editors and administrators to publish the daily posts. The outcome? Since May 2013, when the first post was published, there have been more than 150, 000 distinct downloads. People from every province and territory are reading the Scriptures, reflecting on the texts, and responding in prayer. While theStory™ is only one of many good Bible reading guides, it’s unique because it’s a great expression of Canadian Evangelical unity. Who would have thought that Pentecostals and Plymouth Brethren could have back-to-back reflections on the Scriptures in the same publication. Amazingly, the Calvinists, Arminians, Charismatics, Wesleyans and other writers all collaborate. How do they do it? They choose to be kingdom minded. They agreed to avoid discussion of contentious or divisive theological issues and refrain from taking sides on issues over which Christians legitimately disagree … and that’s the spirit that may help people trend back to reading and reflecting on God’s Word. Categories: Uncategorized | Tags: #bgbg2, Bible engagement, Faith Today Blog, Scripture, Scripture Union, theStory™ | Permalink. Bible engagement and prayer go together. We should read the Word with thought given to prayer and pray with thought given to the Word. Maybe you’ve asked, “How do I pray according to God’s will?” When prayers are informed and fuelled by God’s Word, they will be consistent with His plans and purposes. I’ve used the 3 R’s for decades and it works brilliantly. Once I’ve read a portion of Scripture and spent time digging into the text I take the truths that the Holy Spirit has illuminated and pray them back to God. When I do this I find my prayers come alive. There’s something special about praying God’s Word back to Him. It’s real and relevant – never rote. When the Scriptures are the content of our prayers they guide the way we pray. Our natural tendency, when our prayers aren’t directly informed by the Scriptures, are to mainly pray “God bless me and my family” or “Please help me” prayers. But when the launch-pad for our prayers are the Word, they incline us to pray all manner of prayers: petition, thanksgiving, adoration, entreaty, praise, intercession, declaration, formation, celebration, spiritual warfare, healing, and more. That’s not to say that the Bible is a “prayer book”. It isn’t. Nor is it to say that the Psalms or the many prayers in the Bible should be the main source for our prayers (even though they provide tremendous frameworks for prayer). But it is to say that when we read and reflect on the Word it gives us glimpses of God that help us to align our hearts with His heart. Then, when our hearts are aligned with God’s heart, we pray according to His will. * Recommendation: Inspiring Prayer is a great primer for prayer – a 54 page Scripture booklet from SGM Canada, for less than a dollar! Categories: Interaction, Transformation | Tags: #bgbg2, Bible engagement, Prayer, Scripture | Permalink.